This post was previously published on Mexico Premiere. With Mexico travel season about to kick into gear, we have had several request to re-post it. Enjoy! I’m sure you’ve heard “when in Rome…. do as the Romans do,” but when stepping into a foreign country it’s really worth considering these words a bit more carefully. The saying originated in 387 A.D. when St. Augustine arrived in Milan and observed the Catholic Church did not fast on Saturday like it was done in Rome. He consulted the Bishop of Milan (St. Ambrose) about the matter who simply replied: “When I am in Rome I fast on Saturday; when I am in Milan, I do not. Follow the custom of where you are.” That sentiment has stood the test of time and can really make a difference when visiting Mexico, or any other country for that matter. I have traveled the world and feel there is nothing more frustrating than watching “ugly Americans” (Canadians are guilty, too!) being rude or disrespectful to the local people. Regardless of whether it’s an all-inclusive in Cancun where everyone speaks English, or an eco-hotel in the remote jungle of Chiapas, you are still a guest in Mexico… you are still visiting someone’s home. As a citizen of the world, you owe it to yourself and your hosts to take the time to understand the basics of the Mexican culture and to embrace their hospitality with the respect it deserves. 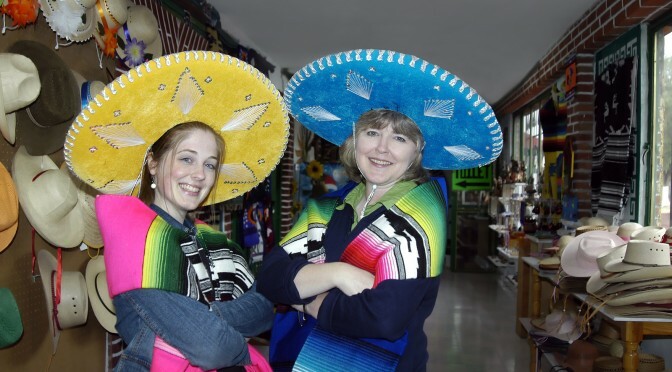 I have seen bad manners exhibited many times in Mexico, so I am hoping to shed a little light on some common courtesies that may change your travel experience. At the very least, it will bring a smile to your Mexican hosts! • A tourist expects (and insists) everyone speaks English. A traveler tries to use even the most basic high school Spanish to make an effort. • A tourist is content to hang out at the swim-up bar getting lobster-red sunburn while becoming louder, drunker, and more obnoxious by the minute. The traveler heads into town, checks out the local markets, tries to make heads or tails of the menus at local restaurants and takes the time to stroll the streets, smile at the people and take in the flavor and color of the place they are visiting. • A tourist goes to the local McDonalds, American chain restaurant, or orders a hamburger at the hotel. A traveler will find out where the best local dishes are served and at the very least give them a try. • A tourist is content to be part of a group and to take large tours to all the most famous spots. A traveler tends to rent a car with a few other people (or solo) and explore the area on their own. That list could go on forever, but you get the idea. Mexico is also far more formal than many would think. If you know anything about Mexican history, you know the Spanish had a tremendous influence on the people and culture of the country. The early Spanish overlords who came to Mexico in the 1500s brought the etiquette of the Royal Court of Spain, and many of those formalities still exist. As a rule, the Mexicans have maintained this cortesía, and it’s important that foreigners be aware and sensitive to not insulting the dignidad of the people they encounter. • In a restaurant, if you wish to call the waiter, you generally use the term Joven (Ho-ven). Though it means “young person,” it is an accepted term for all waiters. If you have a waitress, Señorita is appropriate. Snapping your fingers? Never. • “Please” (por favor) and “Thank You” (gracias) are a given if you’d like to ask an employee (or anyone for that matter) to do something. Look them in the eye and be sincere, it will take you a long way. • Americans tend to enter a room of strangers and only say hello in passing, if at all. They are usually casual, self absorbed and miss the almost constant greetings by their Mexican counterparts. Whether it’s in a public place with strangers, or with people you already know, say buenos días (good morning), buenas tardes (good afternoon) or buenas noches (good evening) to those you see. You’ll notice smiles right away. • Being humble is a cultural virtue often forgotten by visitors. Mexicans will always welcome you when you arrive to your destination and refer to their home or even your hotel as su casa (your house). They are modest and truly want you to feel at home in their country. Keep an eye out for that and be sure to thank them for their hospitality. • If you can’t speak Spanish, don’t insult the local people by shouting louder and slower in English. It’s rude and it doesn’t change the fact that they don’t understand. They will appreciate any effort you make, regardless of your skill level. • Come to a church just as you would at home. Be aware when entering and always take off sunglasses, baseball caps or hats. Wearing shorts is rarely an issue in the beach areas, but women should take care to wear a wrap or sweater to the waist to avoid showing too much skin, which could viewed disrespectful in such places. • The beach is the beach, but away from the resort areas shorts are very rarely worn by Mexicans on the street. Be cognizant of how you look and avoid drawing too much attention to yourself as a foreigner. Never wear shorts to a business event or to a restaurant outside the immediate resort area. The Mexican culture isn’t overly complex. It’s built on simplicity, humility and courtesy. The people are tremendously warm and inviting, and genuinely care about their guests. Whether you’re a tourist, a traveler, or a little of both, take an extra few minutes to embrace Mexico at its core and I think you’ll come away with a deeper appreciation of a country waiting to invite you home. The Mexico Tourism Board has worked extremely hard to navigate the challenging press and to continue to stay on message about travel to Mexico. They were recently named “Tourism Board of the Year” by Virtuoso, the world’s most important luxury tourism network. The Mexico Tourism Board was recognized for the work performed and results achieved in promotion strategies, market diversification, advertising campaigns and partnerships with major travel agents worldwide. The recognition was given at Virtuoso Travel Week, one of the most recognized trade shows in the international luxury travel market which took place in Las Vegas, Nevada. Mexico’s Secretary of Tourism Gloria Guevara Manzo accepted the award. Read more…. Recently, I had an opportunity to sit down with Jorge Gamboa, the Director of the Mexico Tourism Board (MTB) in Los Angeles. The MTB is the key player in establishing a base with Mexico’s travel partners in the United States and serves as ongoing support for the marketing efforts and outreach to tourists. It was interesting to hear his perspective on tourism and how the numbers (not the headlines) tell the real story of Mexico’s ongoing success in bringing visitors to this extraordinary country. How did you get started in tourism and the MTB? I am from the beautiful city of Merida in Yucatan. I had always wanted to share the treasures of my country so I got involved with my state tourism office. I soon became the head of the tourism board for Yucatan and was later asked to join the MTB in their Houston office. 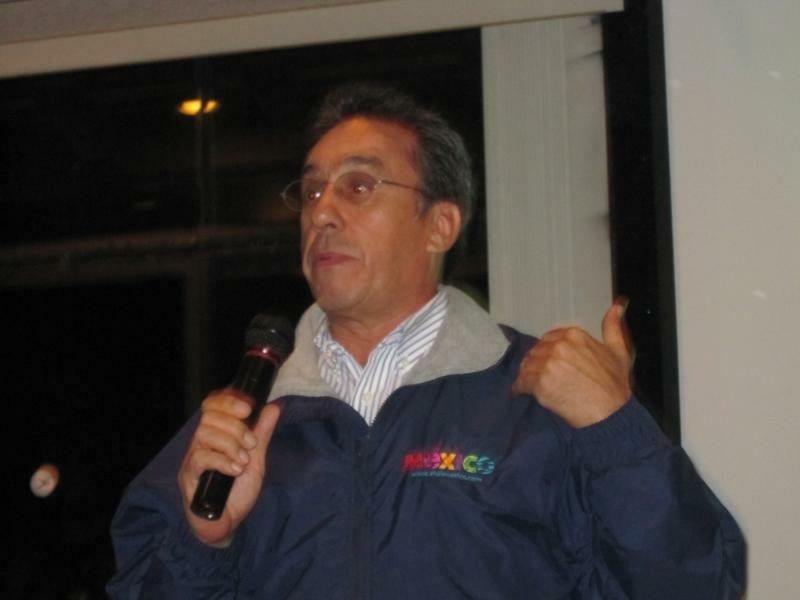 I have been at the MTB in Los Angeles since 2000, but in the tourism business in Mexico for more than 27 years. Tell me about the MTB and how it works? 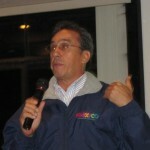 The Mexico Tourism Board is under the umbrella of SECTUR (Secretaría de Turismo). We are funded by the taxes gathered from foreign visitors, not the federal government. We have 18 offices worldwide, including five in the U.S. – Washington D.C., New York, Miami, Atlanta and Los Angeles. There is a Director in each office who handles the states by region. Our philosophy is to build relationships with travel partners. We know that is a key to our success. Despite the surge of online travel options for tourists, the MTB puts a lot of weight on working with travel agents, airlines, and associations. We have always been about the face-to-face connection. It is very important when selling the image (and now safety) of Mexico that we promote in person in both primary and secondary markets. I attend more than 80 events a year to personally meet travel agents, and other travel partners to establish relationships for Mexico. In the last two years, you have been up against some difficult press, how do you address this with your travel partners and how does this influence the marketing strategy for Mexico? We focus on our country’s infrastructure and ongoing success in tourism. Over 22 million people visited Mexico last year, so we must be doing something right! We are proactive with our message and know that we aren’t alone in our effort. We demonstrate to our travel partners that we have strength in numbers and that we have the resources to bring travel agents, airlines, meeting planners and tour operators together to commit to selling Mexico. Despite what you read and hear, the numbers tell the story. According to Perspectives on Tourism (a survey that was produced by the credit card company Visa), the average amount of money spent in Mexico by foreign visitors increased by 12% last year, compared with 2009. As far as our marketing strategy, we know it is a constant push. It is imperative that we present the best of Mexico by offering unique travel opportunities for visitors from around the world. And, at this time, the prices around the country have never been more inviting. Families can travel to Mexico at a tremendous bargain and people are taking advantage of the packages that are available right now. We are reaching our audience through multi-media channels. We now have a number of programs going on via the internet and blogging, as well as more traditional advertising on television and in print. 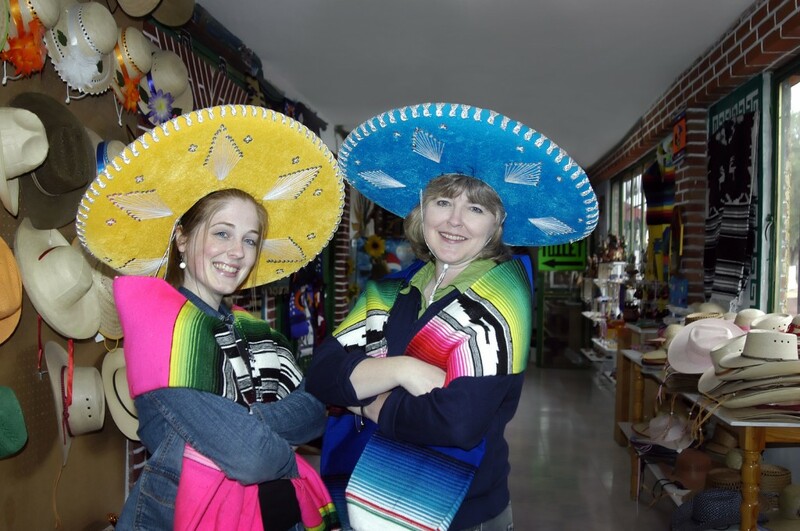 Our goal is to educate tourists who are considering Mexico. One of the most important aspects is helping travelers to know the geography. If visitors become more aware of the location of the tourist areas, they will see they are generally located far from the areas of violence. And, that most of the incidences you read about in the U.S. papers are isolated incidents. The MTB also sponsors a number of travel agent seminars and online learning programs so our partners can pass their expertise and knowledge to the end user, giving Mexico a more informed tourist base. This platform continues to be very successful. We also strive to teach agents and visitors about our amazing culture. Our beaches are fantastic, everyone knows that, but it’s the culture of Mexico that is so very special. The traditions, the food and the people…there is just so much here to share. You mentioned the infrastructure… can you tell me what is happening in Mexico to demonstrate the progress? The Secretary of Tourism, Gloria Guevara, has been touring the United States spreading the word about Mexico’s success. This year there has been a 127% increase in tourism investment. Flights continue to increase so the airlines are growing with us. In 2010, the private sector invested $3.5 billion dollars in tourism projects in Mexico, representing an increase of 19.2 % compared with 2009. The industries that received the most private investment were hospitality with $1.6 billion dollars and real estate with $1.1 billion. Those are pretty impressive numbers for any country. Those investments help to develop 869 projects, compared to 500 projects in 2009. That is in increase of 73.8 %. That is the real story. And these are the kinds of things that will change the face of Mexico forever. From a personal perspective, how do you see Mexico coming through these struggles? I believe that all Mexicans love their country, and as a society, we want to live in peace. We want a future for our families. For the first time in many years, the government is providing tools to help and I see our people standing together. If we stay in this direction, we can make the changes we need. It’s a battle of scale, and in the end, I know Mexico will win. MEXICO CITY, July 18, 2011 /PRNewswire/ — From January to May 2011, the number of international visitors to Mexico grew 2.1 percent compared to the same period in 2010. In total, more than 9.5 million tourists have visited Mexico in the first five months of the year. These numbers clearly indicate that Mexico continues to be a destination of choice for millions of people around the world. Of particular interest is that there was substantial growth emanating from Russia (58.1 percent), Brazil (40.9 percent), and China (32.8 percent) over the period. At this rate, Mexico is expected to receive a record number of international foreign visitors, trumping its previous high of 22.4 million achieved in 2010. The Mexico Tourism Board has been working with industry and the private sector to attract overseas attention and to build the necessary infrastructure to accommodate such numbers. These numbers are a testament to the great things that can be achieved when the public and private sectors collaborate.